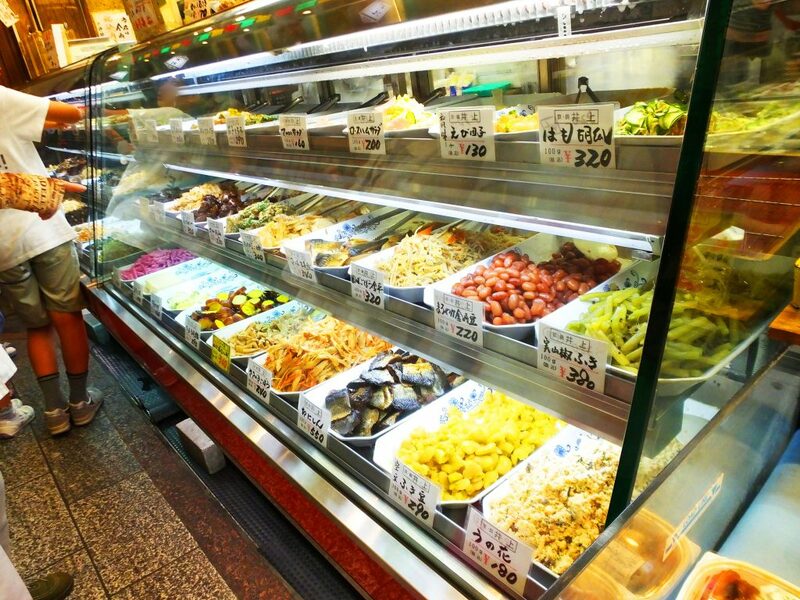 August 16th is a special day in Kyoto. 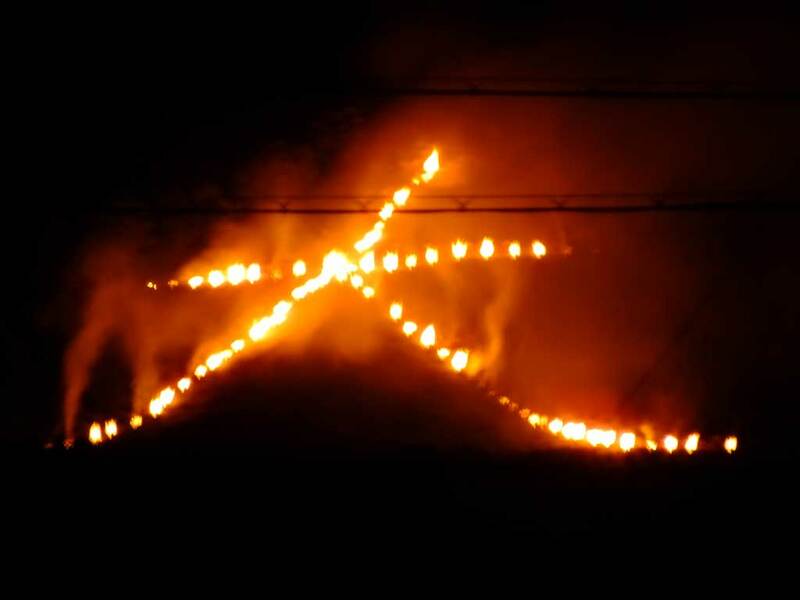 In the evening, giant bonfires are lit calmly on five mountains. These mountains are collectively called ‘gozan‘ and this event is formally called Gozan no Okuribi, but some people say like this. 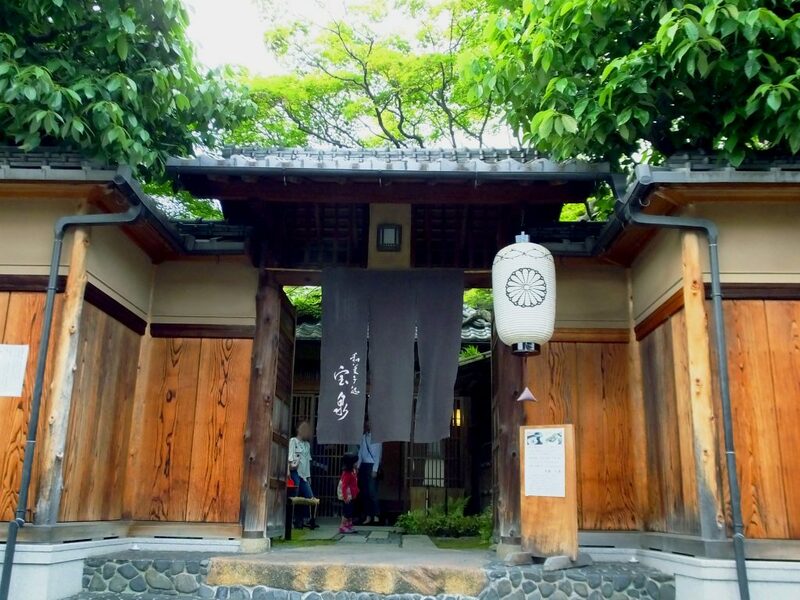 ‘Hey, today is the day of Daimonji.’ ‘Daimonji’ means one of the gozan, Mt. Daimonji. The others are Hidari Daimonji (Mt. Hidari Daimonji), Myo Ho (Mt. Mantoro and Mt. Daikokuten), Funagata (Mt. Funayama) and Toriigata (Mt. Mandara). (Myo Ho is regarded as one mountain.) The 75 bonfires of Mt. Daimonji make a Chinese character (kanji), ‘dai.’ Mt. Hidari Daimonji shows the ‘dai‘ as well, while Mt. Mantoro shows ‘myo,’ and Mt. Daikokuten, ‘ho.’ Mt. Funayama depicts a ship, and Mt. Mandara, a torii gate of a Shinto shrine. 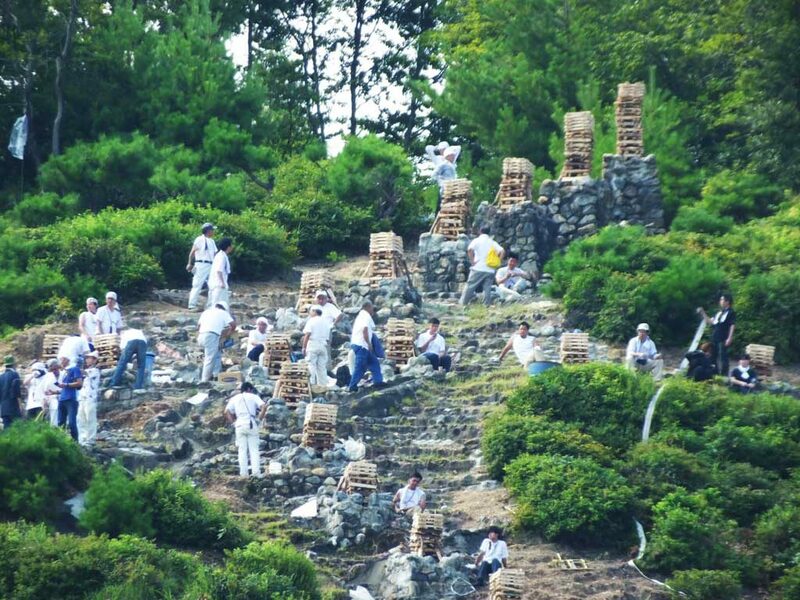 On the day of Daimonji, many people gather on each mountains to prepare for that. On Mt. Mandara, they need to prepare for no less than 108 bonfires. On Mt. Funayama, they need to prepare for the ship motif that is about 200 meters long. Thanks to those people, you can see the bonfires even from a distance. For example, you can see some works from any tall hotels in Kyoto City, and you can see the work on Mt. Daimonji from the Kamo River bank between Kitaoji St. and Marutamachi St. Enjoy this event, thinking about the unsung heros who work hard for it. In the evening, the gozan look totally different. As the bonfires on each mountain are lit one by one, some people cheer and clap. I know their feelings because it is a wonderful moment. However, it is better to see it quietly because Gozan no Okuribi is not a party, but kind of a Buddhist ritual. It is believed that the spirits of the ancestors come back to this world on August 13th, and people see them off with the fires on August 16th. Generally we call this time period ‘obon,’ when we visit the family graves. 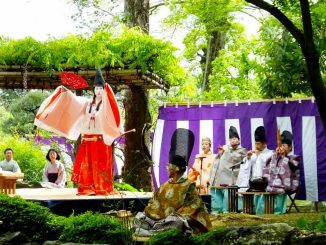 Honor your ancestors while enjoying the summer, and you will be one of people of Kyoto.